My Life is an innovative charity that connects people with their communities. We help to make lives better for people of all ages who need support to live a good life, including children, young people and adults with disabilities, people with ill health or age-related problems, and people who generally feel lonely or isolated within their communities. We are also an accredited provider for AIM Awards and our qualifications are for all levels of ability and include a wide range of subjects, including: performing arts, outdoor adventures, animal care and dog grooming, catering and hospitality, gardening and growing, personal development, functional skills, and many more. 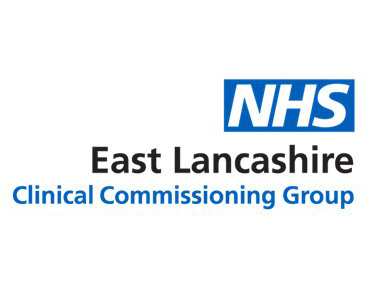 We are a membership based organisation and our members stretch from all over the UK, but primarily our work is delivered across the North West region. Anyone can join My Life, including people who need support, their family members, PAs/support workers, volunteers, as well as professionals, businesses and provider organisations. My Life is regulated by the Care Quality Commission. 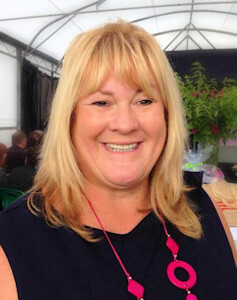 My Life was formally established in June 2012 by Caroline Tomlinson, who was involved in developing the early thinking around self-directed support and who was instrumental in co-founding In Control, the organisation that put personalisation on the map nationally. She also innovated the idea behind the first social care e-marketplace, Shop 4 Support. My Life was established as a result of a group of people with disabilities and their families wanting something different to traditional types of health and social care services, and wanting more choice and control over their own lives. For them, personalisation had started to become a reality and many were a new generation who wanted something very different. Their expectations had also increased, as many people who needed support had already ‘dipped their toes in the water’ with direct payments. They had a good understanding of what good supported looked like, having been inspired by Caroline and the people who had pioneered personalisation. They definitely didn’t want the traditional types of ‘congregated’ services such as day centres, nor did they want to be isolated and lonely by doing everything on their own. Some were struggling to find things to do all day, and keeping everything working was causing them to run out of energy. What they wanted was something inclusive, an opportunity to live a meaningful life, to be active contributors to their communities and help to make all this happen. But most of all, they wanted to establish friendships and relationships that would keep them safe for the rest of their lives. for people who need support to have a good life. Our belief is if we all give a little, we will all gain and grow together. To have real choice and control, but understanding that the more choice and control you have, the more responsibility you need to take. To have a plan for the future, no matter what age you are. To be financially secure by having a sustainable income and money for support, as required. To live in the right environment, with people you choose to be with. To have support provided in a way which makes sense to you. To have friendships, relationships and be able to contribute to you community in a meaningful way. Our mission is to work in a person-centred way with people of all ages who may need support to achieve a good life for themselves, and to enable people feel in control of their own lives, have the emotional support to get through the tough times and have all the information and help they need to work out their own solutions. With this in mind, we provide a range of day time opportunities, information, guidance, advocacy, coaching, training and support in education, health, care, employment and planning for the future. We offer a range of inclusive indoor and outdoor day time opportunities for people of all ages and abilities. See our latest programme of opportunities to find out what we have running at the moment. We organise trips and outings that stem from great ideas from our members. It’s a chance for people to come together, have fun and enjoy being in the company of others. We offer information, advice and support on any aspect of getting a good life for your loved one. We understand personal budgets, personalisation, support planning, getting good care and support, and can help you to navigate around the ‘system’. If we don’t have the answer, we know many people who do, so can put you in touch. If you need care, help or support but have money saved or own your own property, you may not be entitled to or indeed want help from the state. We can help our members to choose good quality care and support that is good value for money. We can also help if things go wrong, or you are not happy with the care and support you receive. We can help our members find and keep great staff, as we regularly train and screen people who want to work as PAs/support workers. If you want to employ someone direct as a family, we can match you with someone will meet your requirements.We can also help you sort out job descriptions, contracts of employment, interview staff, get better value for money, and even support you if things get difficult or go wrong. We can set up work experience and volunteer placements for individuals, tailored to their interests. We support young people with learning difficulties and/or disabilities, including those with more complex needs, to develop the skills and gain the qualifications and experience they need to get paid employment. We do this by providing work-based learning on site (supported internships). We offer further education opportunities for young people aged 16-25 with special educational needs and disabilities (SEND). Our courses are for 38 weeks a year and include a personalised support package, according to level of need. We focus on what young people can do, and we adapt learning to ensure personal outcomes are met, no matter how complex the need or disability. Our Standish site is a Duke of Edinburgh Open Awards Centre for young people aged 13-25. We also offer the option to complete a bronze, silver or gold award as part of any further education course. Our Pathways to Employment training course is for anyone interested in a career in social care. The training is ‘values-based’ so you don’t necessarily need lots of qualifications as we will match your skills with what the individual or family is looking for. We run a range of specialist training events, workshops and conferences, facilitated by experts in their field. If you are a member, these are discounted and you can attend yourself or send along your staff. As a national champion of personalisation, we can support your organisation to transform and deliver true personalised services. Commission us to run personalisation awareness training for your organisation and mystery shop exercises. If you are a social care provider, we can help you to evaluate your service against the Making It Real progress markers. 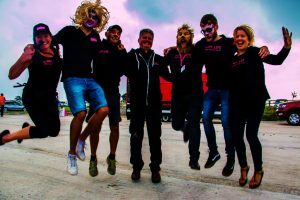 We also offer bespoke training packages and team building courses. My Life is a charity, limited by guarantee. We get some of our income from our membership and a small profit from the training, workshops and events that we run. We have a board of trustees and the day to day operation is overseen by Caroline Tomlinson, our CEO. The board of trustees give their time free to My Life which has enabled it to become a self-sustainable organisation. Our approach is built on the model of citizenship, which is all about entitlement, rights and responsibilities. Since 2012, we have evolved into an organisation run by families of people who need support due to a disability, illness, mental health issue, or problems associated with old age. We possess a range of business expertise that enables us to be an effective voice for families and individuals, as well as a self-sustaining organisation. Our trustees, staff and associates are experts in the fields of social care, health, education, the law, human resources and business, and all want to give something back to their community. As a charity, we make sure that every pound we get is spent on the needs of people who want a good life. We are one of the few organisations nationally that do not rely on state funding, meaning we are totally independent, giving people a real voice and the autonomy to deliver exactly what our membership wants. Caroline Tomlinson is the CEO of My Life. She lives in Lancashire with her husband Robert and three children: Joe, Rosie and Jacob. Caroline became involved in ‘service-land’ as her eldest son Joe contracted meningitis as a child and was left with a huge range of complex disabilities. In her attempt to get a good life for her son, Caroline home educated Joe, developed a wide range of inclusive play opportunities, accessed a host of learning opportunities, got several user-led organisations off the ground (eg. The Young Person’s Service, Embrace Wigan and Leigh) and more recently My Life, which started out as a not-for-profit social enterprise and is now a Registered Charity (Charity No. 1167858). Caroline was one of the co-founders of In Control and innovated the idea behind the Amazon/Ebay of social care, shop4support. Her professional career has been wide and varied, from starting out as a riding instructor, to a purveyor of fruit and vegetables. She then settled into working within ‘service-land’ to make an ordinary life, not just for Joe, but for the many people who needed support. 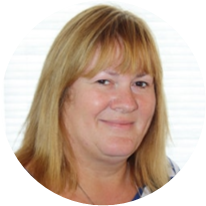 Caroline has worked in local authorities within adults’ and children’s services, primary care trusts and the third sector in many aspects of community development. She has presented internationally, wrote many articles and has written the book ‘The Essential Family Guide’. She has also been a finalist for Inspiring Woman of the Year at the Guardian Public Servant of the year, and more recently she was named as only 25 Mothers of Inspiration in the world by Nesta. Caroline has particular expertise in encouraging and motivating communities, families and disabled people to make a difference to their life through creativity, leadership, positive thinking and proactively becoming involved in policymaking. 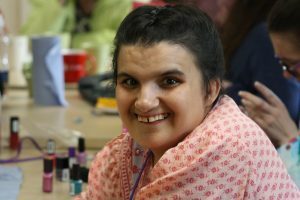 Her vision is that individuals with disabilities and their families should be in control of their own lives and should have real choices about the type and quality of support they receive. 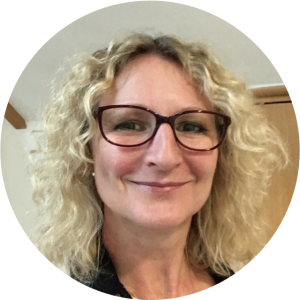 Caroline is an experienced and qualified mediator and works with individuals, families and the social and health care sectors to work out positive solutions that bring good outcomes for all stakeholders. She has an excellent ability to think ‘outside the box’ and it has been said that Caroline is one of the few people who can apply practical thinking into a strategic approach for change. She is a great connector of people and believes that spending the time to build positive relationships provides the key to better outcomes for communities. As a great connector, combined with her skills as a social entrepreneur, Caroline has motivated businesses and the commercial world to take their social responsibility seriously and has several examples of businesses supporting social enterprises in the UK. Her common sense approach has greatly challenged the traditional service system in England and as part of the work with In Control has impacted significantly on government policy. “Caroline inspires you to think differently and use both your heart and your head to change the way we provide services” is a quote that has been used many times. Caroline is currently completing her MA in Voluntary Sector Management and Leadership and has been selected for a place on the national transforming communities programme, as well as working on her biography. She has recently launched a paper with In Control about Individual Service Funds. Caroline’s prime interest is working with individuals in their communities to create good, sustainable lives for people through a personalised approach. She inspires, motivates and talks from the heart, but most of all makes it real as she lives the concept on a daily basis. I’d just like to say that the food was so nice. All the catering needs for the four people who were, vegetarian, vegan and for myself pescaterian who were on my table were met without any fuss. I particularly liked to see all the ‘hint of pink’ outfits’. I thought the whole evening. was very entertaining. I hope there was a lot of money raised for MyLife. I attend reiki /massage sessions on a weekly basis and I benefit greatly from these. My grandson & nieces have taken part in the school holiday activities and they’ve enjoyed themselves. 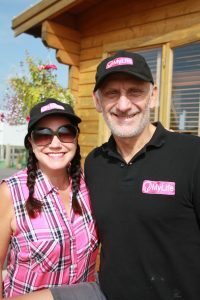 MyLife is such a great organisation for everyone to be involved in some way. Thank-You Caroline Tomlinson CEO & Team I think you all do a marvellous job! Fantastic place!!! This is the first time my 5yr old son has run straight into a holiday activity without looking back. My children love attending the farm getting muddy and getting into the outdoors learning lots of fun things. The staff are all so welcoming and helpful. Five stars are not enough for such a wonderful place. My Life is amazing!! My children love the holiday clubs and choir and drama. Such a welcoming and inclusive place. We have just all done Tough Swampy and had a brilliant day. Thank you to Caroline and all the staff. I wanted to drop you a quick note to thank you for kindly giving up some of your valuable time in meeting with Clair and I yesterday. It was great to see for ourselves the wonderful support you and your team deliver over at My Life @ Future Steps in Leigh. I just wanted to say thanks so much. The event was exactly what we’d imagined…sociable, great mix of people, informative and inspiring. Brilliant! Just want to say a massive thank you to all involved with the personal health budgets event at Thompson Equestrian Centre. The day was filled with excellent knowledgable talks, friendly and hospitable staff, stunning surroundings…. and the most delicious lunch! I would just like to say a very big thank you to you for sharing your experiences and giving us useful advice and ideas as to how to get the best support for our young adults and the services offered to them. I found your ‘person centred’ talk very useful. I am the lady whose son likes music! And after your talk I now understand that I can help my son realise his dream. You have been truly inspiring! I would like you to thank all who made the Country Fair such a success. We had a most enjoyable time and our efforts were financially a success. So much effort is being put in by many people to help those deserving people and you are all to be congratulated for your work. If at anytime you hold a similar event in which we can participate please let me know. It was the best thing to happen in Standish for 35 years! Thank you very much for having me at your country fair! It was a wonderful event – I really enjoyed it – you should be proud of yourselves! I would love to attend one of your events in the future. I wanted to drop you a line personally to thank you for taking the time out to deliver such an emotive talk about the work of my-life. I know it was extremely well received by all the staff. It’s the work of organisations like my-life that put into perspective the small contribution we make to individuals health and well-being within Bridgewater. Thanks once again. I personally found your talk an inspiration; your tenacity and resilience for the benefit of individuals clearly shines through! 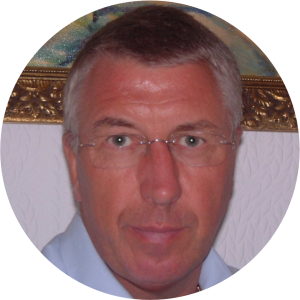 Steve is currently a Non Executive Director of iMPOWER Consulting Ltd. and Managing Partner of the In Practice Partnership Ltd. 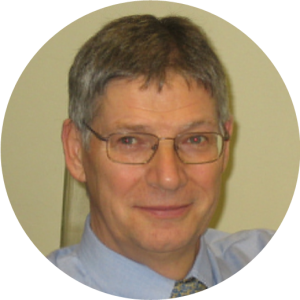 He has been an improvement advisor to several local authorities and private companies, and mentor to a number of Chief Executives. He was previously the Chief Executive of Blackburn with Darwen Council and of Wigan Council, Chairman of Lancashire Care NHS Foundation Trust, founder of In Control and Chairman of Shop for Support. He also works with a number of families and individuals to help them navigate the complexities of public support systems and to help them to take control of their lives. 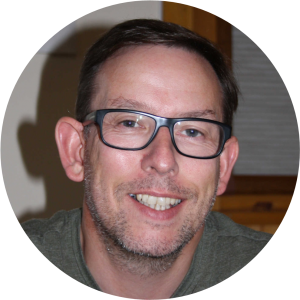 Alan has spent the majority of his working life involved in start-up business ventures in various commercial sectors, including property, construction, social and health care, and IT software development. His career path has involved research and analysis into specific sectors, identification of potential opportunities, selection of appropriate business partners, establishment of company infrastructures, recruitment of skilled staff and growth until eventual sale. He has gained experience at many operational levels, from a one-man business to working as a team member on the Board of a major PLC subsidiary, and has extensive general business knowledge. Andrew was born and raised in Standish and returned 'home' after a few years working in London and other cities. He qualified as a barrister in 1994 and practises in the field of criminal and regulatory law. He is the author of over a dozen published books and sits on the editorial board of the Journal of Clinical and Forensic Medicine. He is also a Director of CrimeLine Training Limited, providing one of the largest legal knowledge platforms for barristers, solicitors and government lawyers across the U.K and Commonwealth jurisdictions. Mandy lives locally, in Wrightington. She is a conveyancer for a major house builder and has worked in the industry for many years. It was during a 9-year career break to raise a family that Mandy became involved in the local community, in roles such as a Beaver Scout Leader and Secretary of the school PTFA. She began to really understand what community, people and inclusiveness really meant and having first met Caroline and Joe when Joe joined the Scout Group, Mandy was instrumental in making that experience for Joe the very best it could be. She went on to become a key member of Joe’s first circle of support and has seen how the innovation has helped him to lead a full, active and happy life. Mandy is a natural community connector and firm believer in/promoter of community cohesion on all levels. She uses her passion to make a difference to help develop and support locally led organisations, including My Life. Caroline has has particular expertise in encouraging and motivating communities, families and disabled people to make a difference to their lives through creativity, leadership and positive thinking. She was instrumental in the development of personalisation and is an experienced mediator. 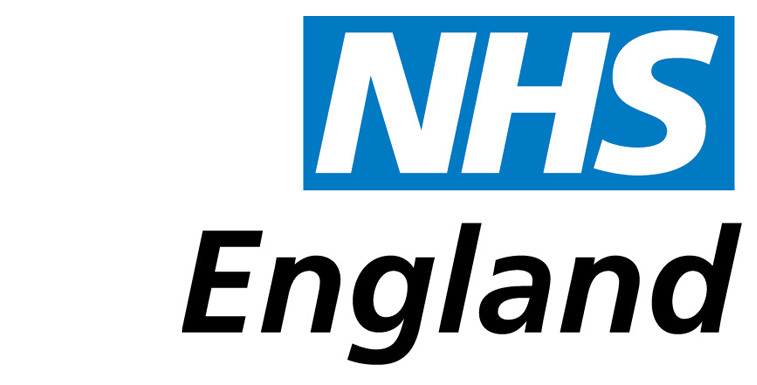 In her role as a national and international speaker, she has worked with local authorities, the NHS and third sector organisations. Most recently, Caroline was named as one of only 25 Mothers of Innovation in the world by Nesta.